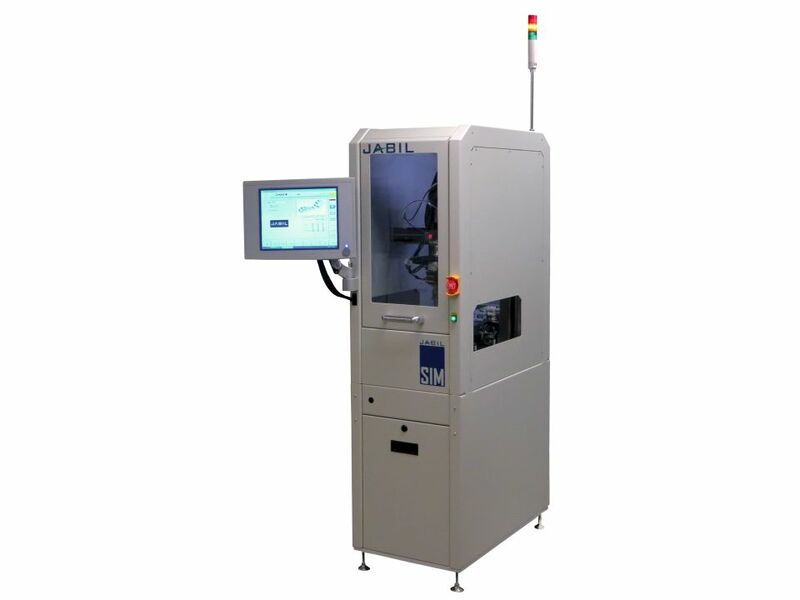 Jabil’s Standard Integration Module (SIM) platform utilizes interchangeable modules to automate basic to complex production applications. Pre-engineered solutions minimize risks, simplify integration, and reduce lead-time. SIM platforms can be used inline or as stand-alone work stations. SIM is redeployable – designed with common interfaces enabling rapid change-over of applications. Platform supports a range of processes from semi-manual to fully-automated. System can be fitted with pallet conveyor, with reversible left-to-right or right-to-left conveyor flow. Platform can be configured in any orientation ensuring optimal support of interrelated processes, production speeds and quality. Modular Z-axis and optional Theta axis. Vision location options (up-camera or down-camera). Standardized mounting flanges and control interfaces. Full-safety guarding (OSHA and ANSI compilant). SIM500 offers a platform that is flexible and modular to handle a variety od produciton processes.